Evil Damn through black abominable and brutal music pays tribute to this sublime form of expression, of art, of life, of Barbaric Death Metal. At the dawn of the year 2003, Ordep forms Evil Damn and immediately recruits Zemog and Romanet. This primigenium trio starts to develop the material then already composed. The definitive formation is made when Neyra and Satyricon are invoked to the fronts of attack, by the end of 2003, sharing the philosophy of the band they decide to join the band and contribute with their art. The year 2004 represents a great period for Evil Damn. 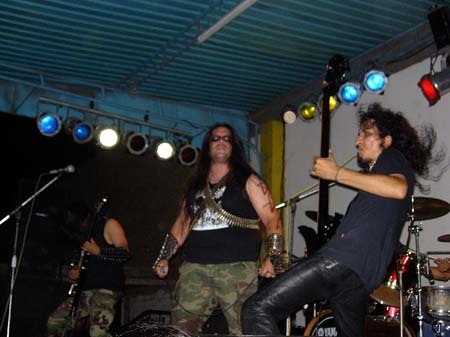 The expected debut live appearance is given at the Yawar Metal Raymi I fest (April 30th 2004), arranged by Surrealizaciones Thelema, where the band shares the stage with bands from all the country. The critics received, good the most were taken calmly, knowing the hard road to come into the entrails of the Death Metal!. Alter this first live discharge, the band focus energy and creativity to unleash the material already composed in the most abominable Death Metal creation ever. 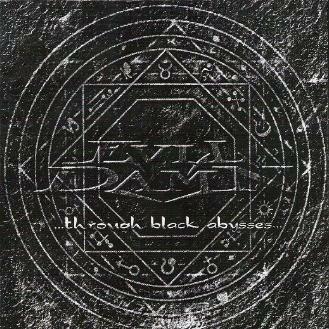 The opus “…Through Black Abysses…” released officially on September 2004 through Austral Holocaust Prods. opens the path of the band forward abomination and darkness, toward the most bestial caves of Barbaric Death Metal, paying tribute and respect to the great Southamerican tradition, to which we are proud to belong to. The great response of the World Underground to this first effort, shows that the band has got thies place within the black art that the Barbaric Death Metal represents. Conscious of the responsibility to sep this place, in the year 2005, Evil Damn is found developing new material and getting beeper into this supreme art. New goals are accomplished, like the participation on stage opening to the legendary Thrash Metal legend SODOM, and the licence of the demo with important Underground labels from Colombia, Thailand and Australia to re-release “…Through Black Abysses..” in different formats…the black story has begun..
----Copied from their official website.